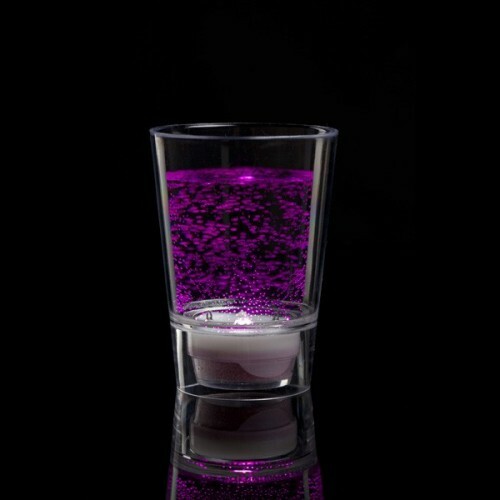 1 LED glow shot glasses which are activated by liquid. A must for any party celebration. 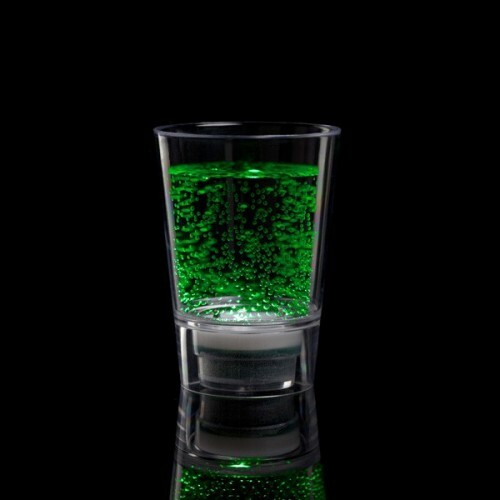 Lengthy glow time and easy to clean. 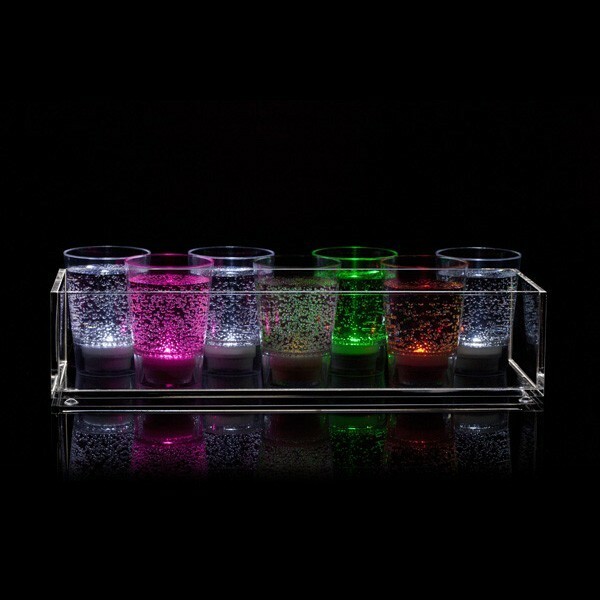 These liquid activated flashing shot glasses are something special! 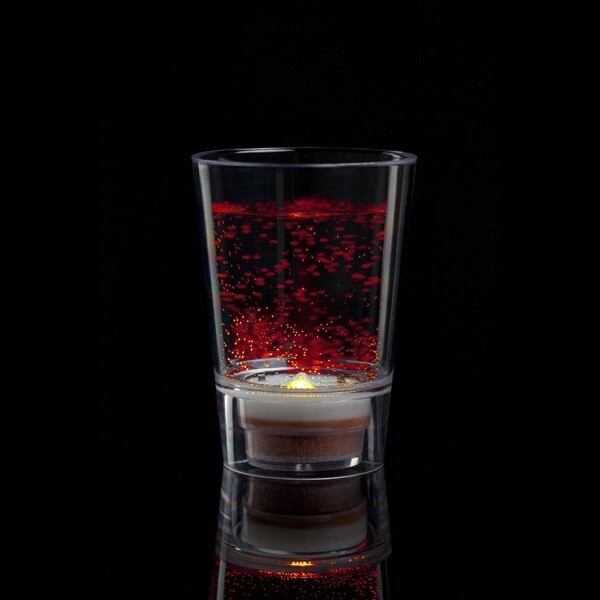 You can add pizzazz to any party and wow your guests with the always impressive liquid activation technology. Pour your favourite liquor into the glass (transparent liquids work best) and watch it instantly light up the moment the liquid touches the sensors on the bottom. 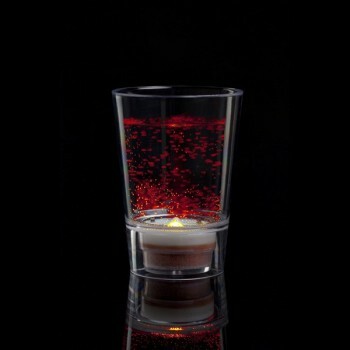 Watch the small LED’s in the base glisten through the shot glass and up through your drink. 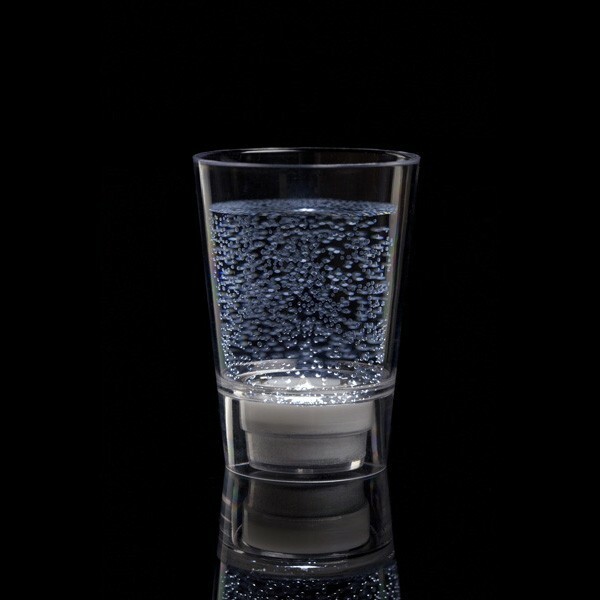 The flashing shot glasses are reusable and only work when there is liquid in the glass. This product is a standard 75ml measurement. 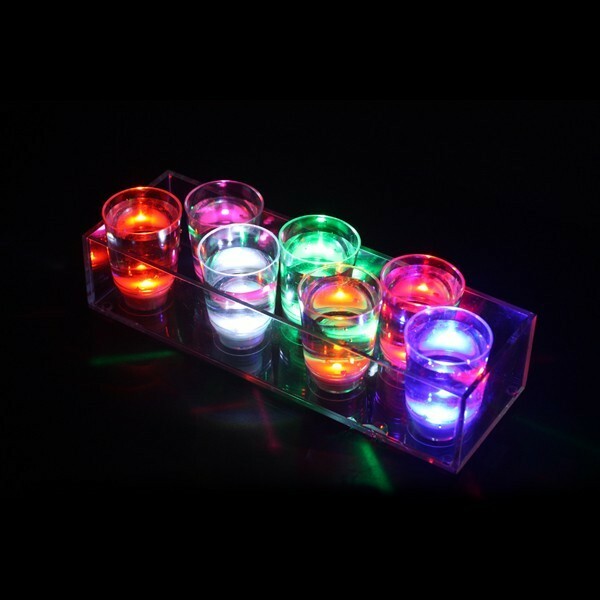 This product can also be referred to as Glow Shot Glasses, LED Shots, Liquid Activated Glasses, Liquid Lights or Glow Glasses. 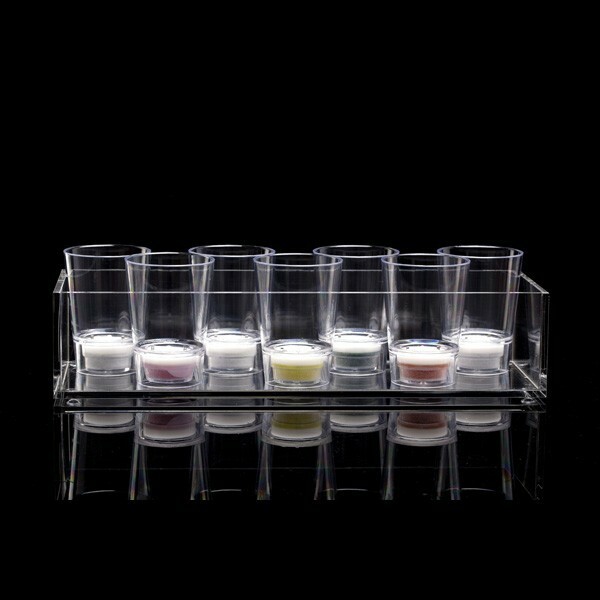 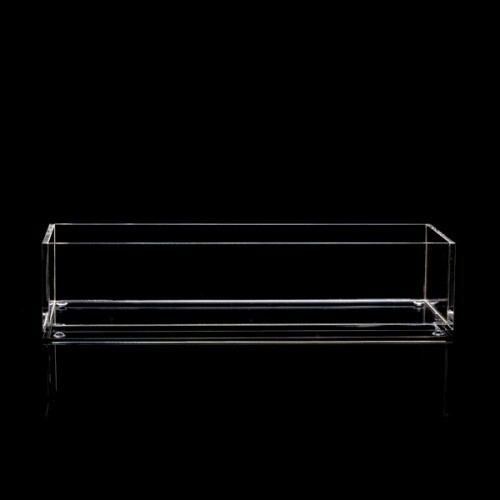 1 clear Perspex shot glass tray holder holding up to 14 standard 50cl shot glasses (750cl bottle). 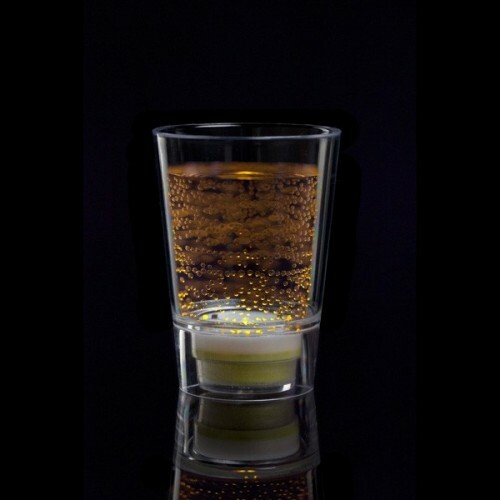 A great way to serve shots.